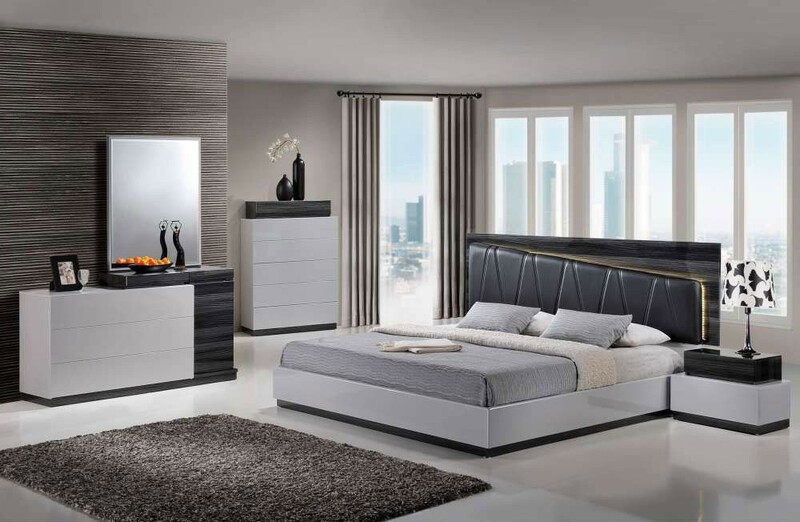 Queen Size Bed: L80" x D60" x H47"
Lexi bedroom set in two tone grey high gloss finish takes modern style to the next creative level. Two tone light and dark wood grey finish case goods have handless smooth closing drawers that open from underneath. Matching platform bed does not require box spring and includes black upholstered cushioned headboard.